Come join Mozilla and over 300 interns and engineers from the Silicon Valley for a memorable hacking session at the Computer History Museum. 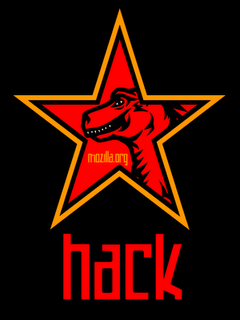 Mozilla’s first annual WSOH (World Series of Hack) will take place on July 21st-22nd! Why WSOH? Well, our interns asked for a hacking session, we listened, and decided to go big. Why? Because it’s a unique opportunity for interns from different universities, countries, and cultural backgrounds to work together to build something awesome. It’s summer in The Valley, might as well be hacking. We have a few ideas for themes ranging from building your own browser extension, to experimenting with HTML5 , or perhaps building data visualizations. Mozilla’s mission is all about making the Web better, and we want you to be part of it. Final themes will be available on Github by July 10th and we will be sending updates to those who’ve registered. Sounds exciting to you? Can’t wait to get started? Well, RSVP today and come join us for an awesome hacking night. As always, we’ll provide plenty of food, caffeine, snacks, music, prizes, entertainment, games, and internet-famous engineers from across the land to guide you along the way. Oh, and the chance to show off your project in front of a great panel of judges! For now: spread the word, invite your friends and come build your own piece of Computer History!